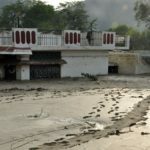 This article has been translated from a first person account originally in Hindi in Amar Ujala http://www.amarujala.com/news/states/uttarakhand/dehradun/now-horror-staying-in-the-valley/ by Ved Vilas Uniyal and Surendra Puri We reach Harshil around noon. Harshil-Dharali, famous for scenic natural beauty and apple orchards is a ghost village. 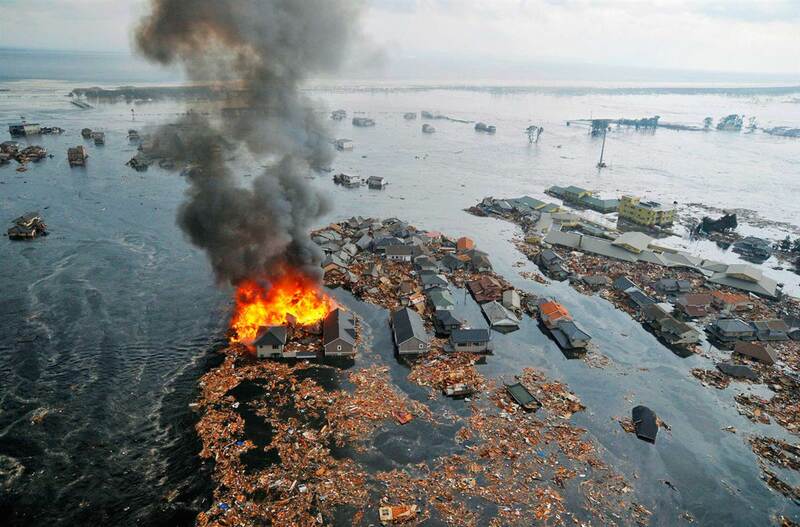 Everyone is subdued by catastrophe and scenes of devastation lie in all directions. The Harshil valley that used to bustle with tourists is now in the grip of fear. Terrifying scenes begin to greet the eyes in villages five to ten kilometers before reaching there itself. About three hundred people are visible in the relief camp at the Harshil helipad. Everyone wants to reach Uttarkashi in any way they can. There are two options. Either be evacuated by Army helicopters or walk about 70 km of treacherous roads and mountain slopes. In Harshil, people tell us about the devastation wreaked on nearby areas. To see ground conditions with our own eyes, we proceed in the direction of Dharali. We walk a little ahead of Harshil. Suddenly our eyes fall on apple orchards. These orchards have silt from the Jalandhari river. A little ahead, the birdsong was overwhelmed by the thundering river. Everywhere the mountain is broken. At last we reached Dharali. This is the last village in India before the border. People start narrating their ordeals immediately. No one has reached here yet, see how the flood has wreaked devastation here. The rampaging Ksheer Ganga has destroyed homes, the market is washed away. What is left with us. Whom do we tell our suffering to, no one has come here. We see that the riverbed of Ksheer Ganga has debris up to ten feet. Jaibhagwan Pawar from this village tells us that the village is two hundred years old as is the Kalpkedar temple in it. At one time there were some two hundred and fifty temples like this here. Some say the Pandavas made them, others say Shankaracharya did. Ordeals and disasters leveled the temples one by one. Three temples had survived against the odds and two of them were gone in the last flood. Now the remaining part of Kalpkedar temple is the symbol of hope here, but it has fifteen feet of debris in it now. People are distressed that no one has come to them. They feel alone in this calamity. They only know of their own ravaged village. They ask us for news from beyond. All the villagers collect in one place. They are worried about provisions to run homes on. How long will it take for the road to Gangotri to be rebuilt? How long will their rations last? What has passed has dealt grief. They are apprehensive of another mishap. Durgesh Pawar of the village points to the high glaciers above. “What you see up there is the Srikanth peak” “Its Bugyals, (alpine high altitude grass meadows above timber line) are seeping water. Goatherds and trekkers have alerted them that there is a crack forming. If that section of the mountain collapses, we will not even be capable of narrating or ordeals.” This anxiety doesn’t let them sleep. One of them tells that on the black night of 16th June, there was a blast. Torrents of rain, deodars about to get washed away in the river and the water had changed color. (Flooding rivers become dark with silt and debris). People are apprehensive of the color of the water. Disturbed by a sudden tremendous noise, when we came out, Ksheer Ganga had wreaked more havoc already.